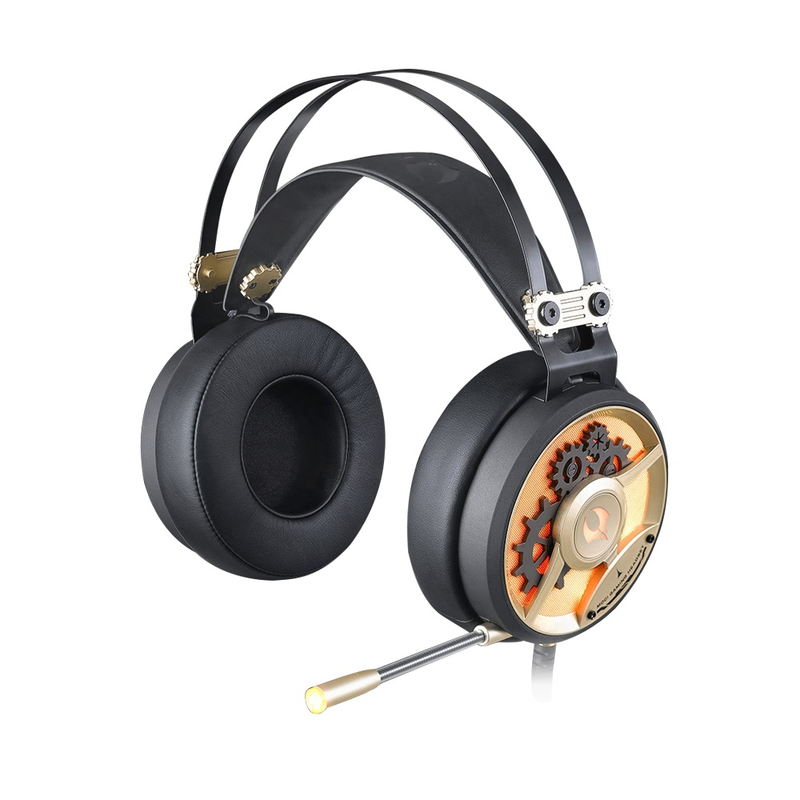 The Bloody M660G is a high end gaming headphones that is equipped with our M.O.C.I. technology. 40 MM M.O.C.I. (Mycelium of Carbon IT) drivers are custom tuned for premium sound. Hybrid diaphragm speaker units are made from nano carbon fiber mycelium to ensure crystal clear highs and mids. The High-CIS TPU on the ring of the diaphragm creating dynamic sounds and providing a powerful bass. M.O.C.I. Hybrid diaphragm offers a rich sound experience. Exclusively made for long gaming sessions, we developed a Lightweight Auto-Adjusting Headband to ensure maximum comfort. Designed for lengthy gaming sessions, the over the ear cushions are made from large protein leathers. The M660 features a vibrant orange color LED backlight on each ear cup providing ambient lighting. The Omnidirectional noise-cancelling microphone enables crystal-clear in-game voice communication.